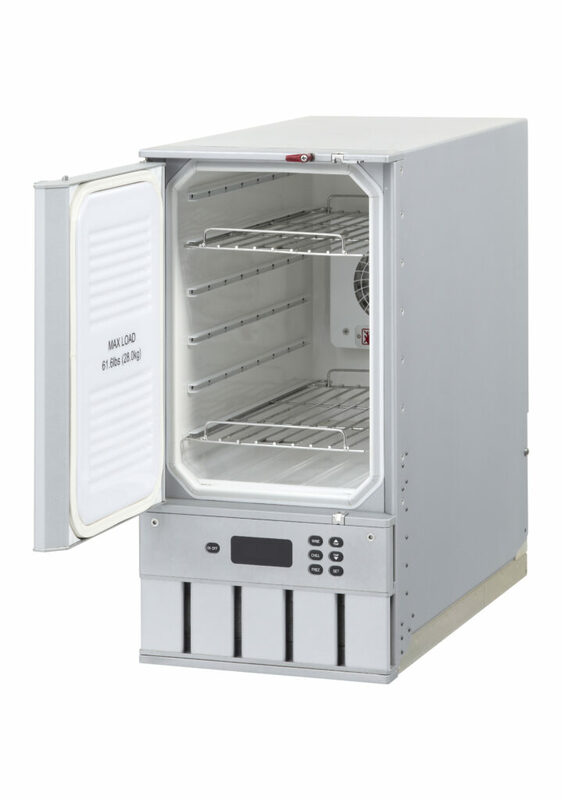 This 3-mode refrigerator is an example where simplicity meets reliability, being designed to work in the same way as a commercial refrigerator. 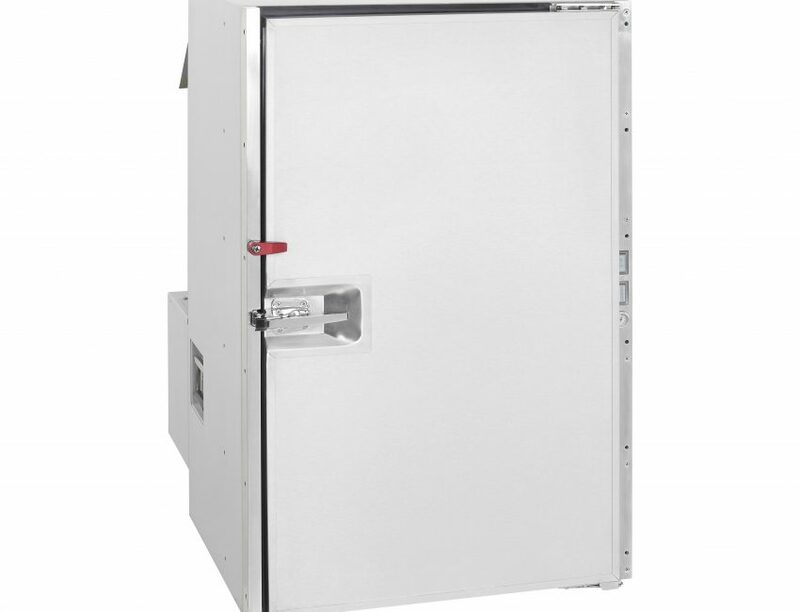 The chilling is achieved via heat sink directly onto the cavity walls and via forced air circulation. This method of chilling has allowed us to create a unit which is quieter and produces less heat than the blast chilling method. 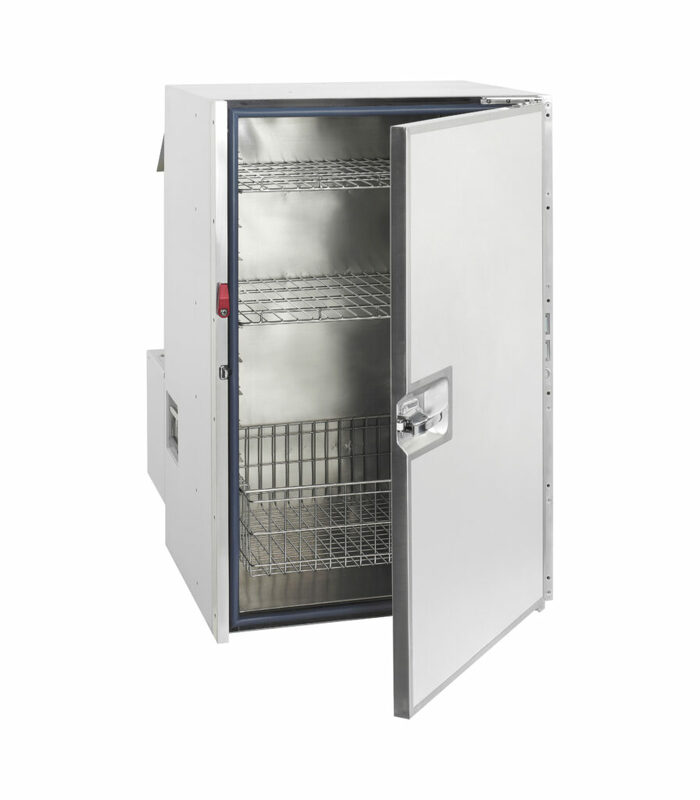 This removes the requirement for an air conditioning unit to cool the galley environment and also removes the need for a thawing cycle to defrost ice build-up. This refrigerator has been a preferred airline choice for nearly 10 years with a growing market share. 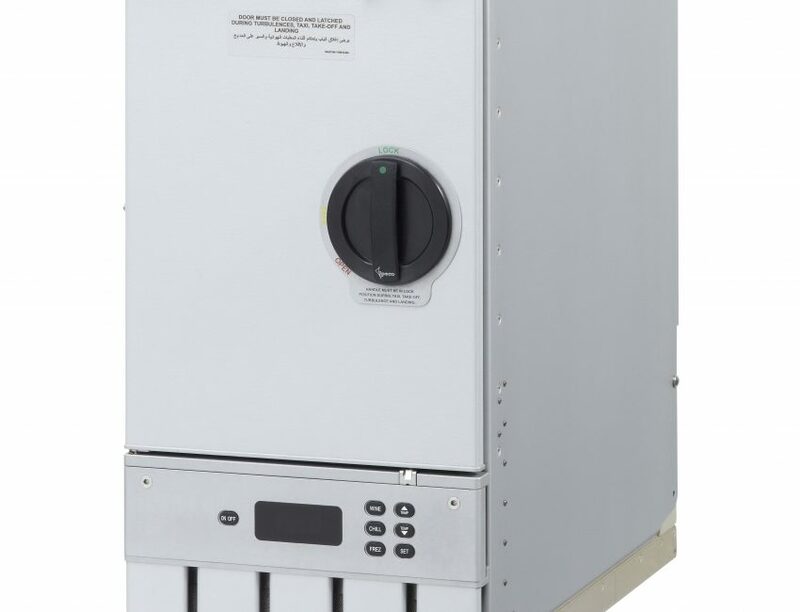 Our latest refrigerator built to ARINC size 2 delivers a new standard in aircraft chiller technology. 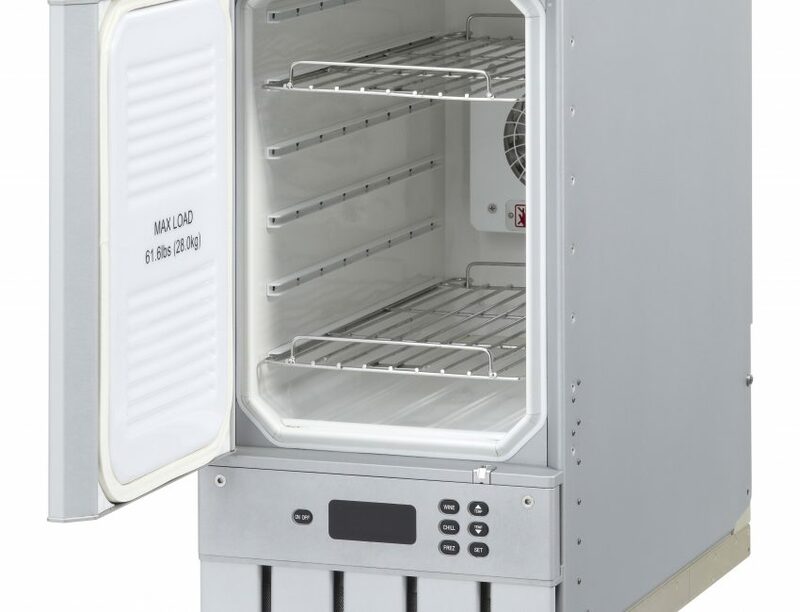 With its improved chiller performance, reduction in weight and low noise and heat dissipation, the refrigerator allows an airline to offer a premium catering service without high costs. The unit is the first in its class to utilise both forced air and conduction cooling so that performance is delivered in all scenarios. 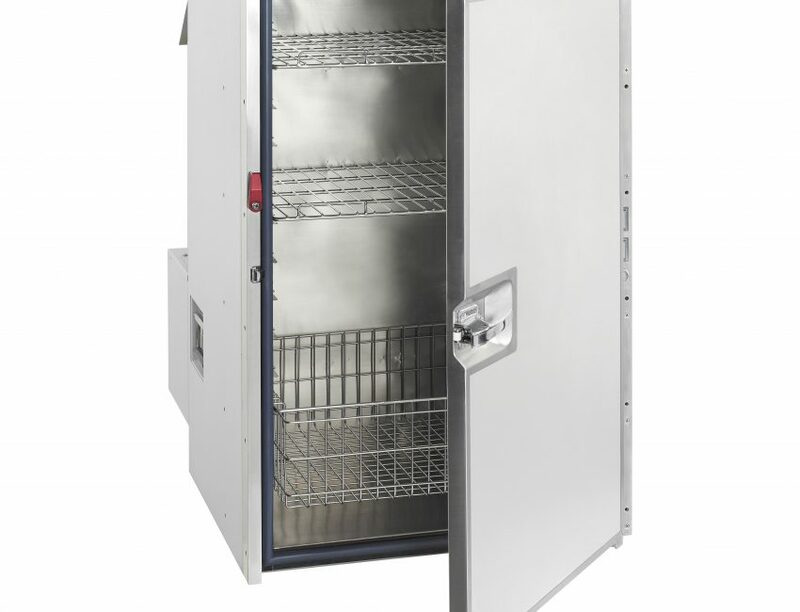 The unique structure of the 3-mode refrigerator is made from composite materials, including a structural foam, which increases strength and insulation. 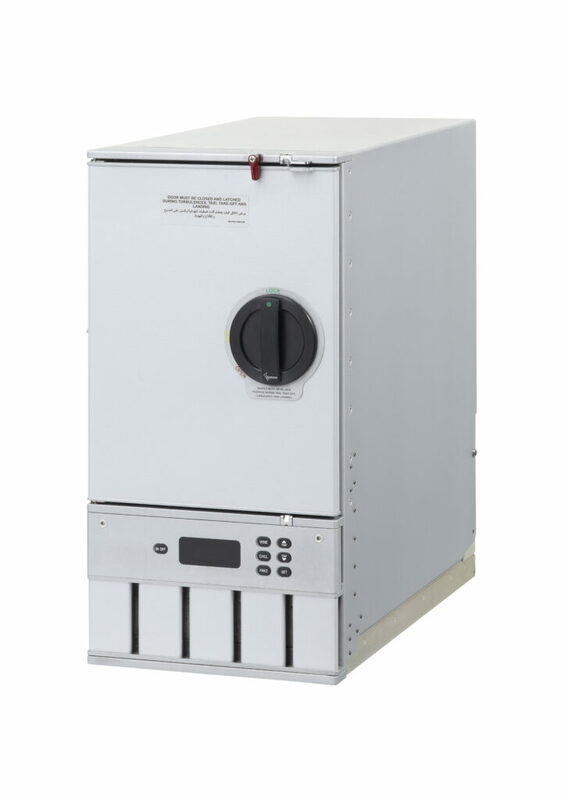 Unlike more conventional refrigerator structures, there is no blanket insulation which moves and becomes less effective after a number of hours’ service. 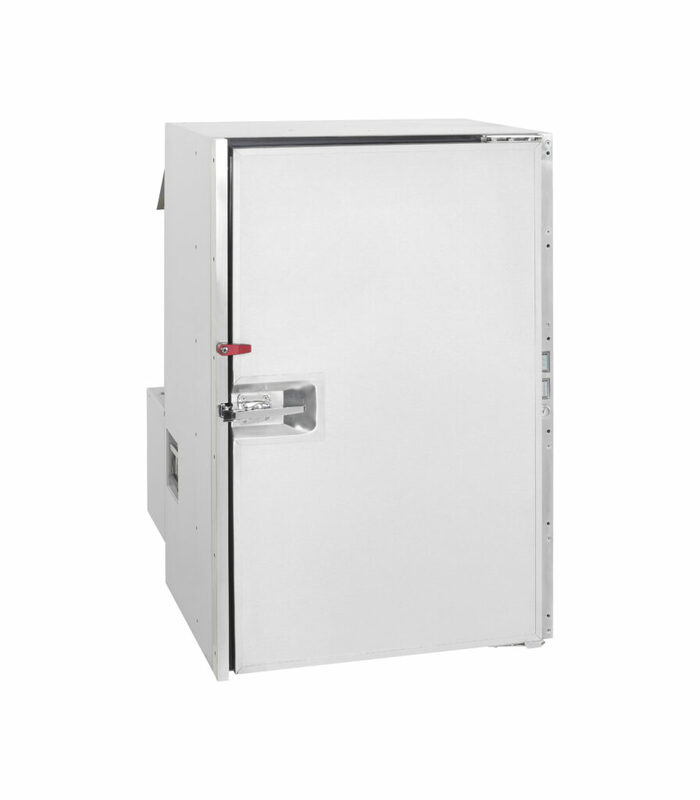 The refrigerator structure will retain its initial performance credentials throughout the lifetime of the unit.